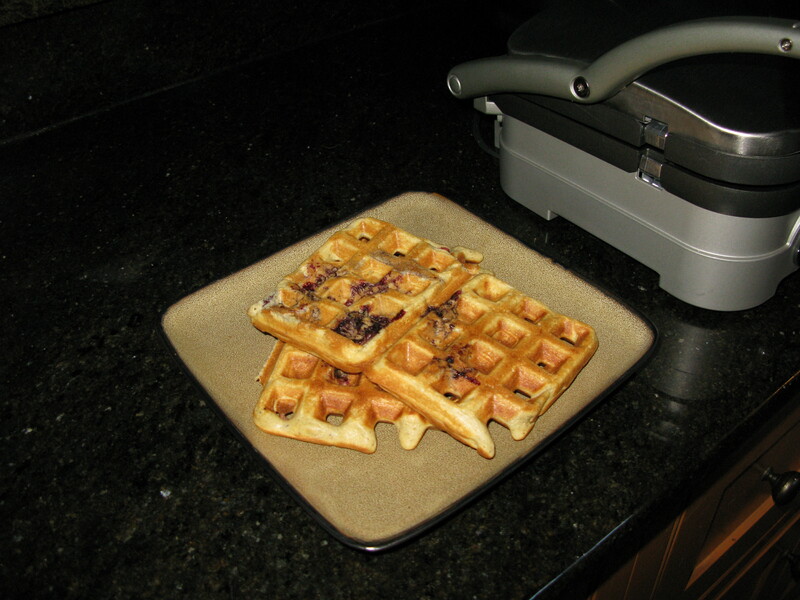 This recipe produces light and fluffy waffles. Mix the flour, baking powder, soda, salt, and sugar together. In a separate bowl, whip the egg whites and vanilla until it form stiff peaks or resemble whipping cream. Add the milk, egg yolks, and oil to the dry ingredients and blend together. With a rubber spatula, slowly fold in egg whites with the rest of the ingredients and then fold in the raspberries. The entire mix should be light and fluffy. Spray waffle iron and begin making waffles.